My dad bought our very first personal computer in the year 1993. Owning a computer at that time was like driving a Mercedes Benz.I guess the simili doesn't hold good for today's kids cos Merc is used as a cab in many countries. I was in class seven then.My sister used to be a major computer whiz. She used to confuse me by keying in lots of command prompts in the DOS screen. She was also a major programming expert. She used hi-technical programming languages like BASIC & PASCAL. I used the computer for a few purposes. The paintshop (now the MS Paint), and the free set of games that came along with Windows package. The version of windows was some 3x. The 90 series came years later. One of my favorite games used to be the Minesweeper. The reason behind me getting addicted to it was due to the fact that I never succeeded in it. I always believed in the phrase," a collection of failures = success"
Soon I saw many changes in our computer. The versions in windows kept on updating every year. I came across many computer games. 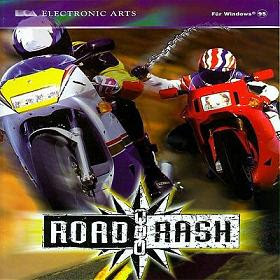 Prince of persia, Dave, mario, roadrash, skyroads, NFS,Brian lara cricket,Age of empires,EA sports collection and many more. But I never could complete the game minesweeper.It was always in the back of my mind. It has been 16 long years and in this long journey, if there is one unfulfilled dream for me, it is nothing but a win in the game "Minesweeper". With determination and dedication and with just one aim, a mind to win, I played the game yet again. Finally I did it. I completed the game in a record breaking time and I was a winner. Please check this new record set by me. Click the image for a better view. Please feel free to congratulate me on my new achievement. I hope my Record would surely inspire a lot of today's generation kids. haaha...good one bro...prince of persia took me to memory lane...finishing a level was some huge achievement and you would become instant hero among peers...those were some fun days..
thats true.. and prince of persia had 13 levels.. i remember playing ot with cheat codes..
hilarious... that was great chriz... congrats.... crack d intermediate and d next level soon..
was never a fan of computer games.. but shud say my mom is addicted to Prince of Persia and Mario even now.. she is 50 yrs old :D..
i used to lovee prince of persia - the 2d version!! how long did it take u to do that on photoshop? and yea ore the nostalgia wit prince of persia, road rash n all.. even dave and mario.. sigh..
and yes congrats on ur new achievements ..
Man you had a computer back in 93. And were so surprised to finally see that it did! Chance a illai.. wat a success.. wat a success... !!! Nostalgia galore! I was badly addicted to MARIO and PACMAN. The only game that i play is FIFA - starting from 98 , till date ! haha.. my 7 year old cousin is now a x-box superboy.. he beats me round and square in gaming.. hence now i stick with blogs.. Tried NFS Undercover? I am addicted to most wanted for the moment! intermediate level.. haha ,, am not gonna take that risk..
the problem with minesweeper is if you score you are out... and hope you won! it was my dad's pc.. i was allowed to play computer games in that.. thats all..
my little cousin beats me in that.. so i never play that game..
half the game can be completed after a break...keep breaking! haha...new 2 ur blog..so funny!! I ve had d same experience with freecell!! same experience with freecell!! thats a card game.. you meant the timer? Hmm... lots of gaming memories here! I was never a gamer, but yeah I've tried Minesweeper. I've played all card games and won all, but never understood Minesweeper!!! Muyarchi Udayaar Egallchi Adaiyaar Nu periyavanga solluvanga pa ..
dats real good im guessin! Congrats! So you started making money with your blog? Congrats again! hahahaha!!! congrats bro!!! this calls for a party...shud i book d raffles??? though I never spend much time in minesweeper.. OMG!..Minesweeper record breaker?..I am a bigtime loser at it..:O..gimme some lessons pleease! :(.. I used to be obsessed with Prince of Persia, Roadrash and loved minesweeper...and then finally lost interest in gaming!! I used to be addicted to computer games..not anymore! cos now there's something called BLOGS. lol! I have nt completed miunesweeper:(, only card games. Hey.. Minesweeper.. Yeh its difficult though. I like age of empires. Its a fun game. Anyways nice blog. . Like your style of writing. how abt a men's pyjama party.. we will play all the bLUE men games!!! did you see my record timing also? haha.. you are talking abt much older days..
welcome to my page.. keep comingg..
you seem to be a much great gamer..
welcome to my opage.. keep coming.. this page is full of nutty stuff. so spend time and have a good laugh..
Minesweeper is a personal favourite. 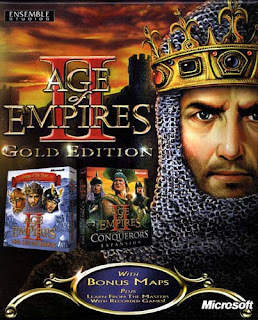 Haven't tried age of empires, though. u seem to be quite a seasoned blogger - 1982 n all!! this one brought back many memories for me back in our old home when we bought our first system....Beautiful!! thanks for comeing to my page and congartulating on my amazing effort..
lol.. it was a great feeling getting nostalgic on the computer. i too remembered the first time my uncle got a computer some 8 yrs ago.. my hands always used to itch to play games or do something that was related to the keys on the keyboard. i loved your blog. i am here for the first time and i am blog rolling you. even if it sounds cliched or somthing, i HAVE to say this - I AM SO HONOURED THAT YOU VISITED MY BLOG AND COMMENTED THERE. i am a fan and i dont know how to explain that. do stop by again, i'd be really glad. a fan? for my blog? lol..i am a "no one" :P that is just one of the reasons for me being your fan..but i surrender .. i told you i cannot explain that but i am a fan.. without any explicable reason. i am blogrolled by YOU, "THE CHRIZ????????????? pinch me if i at all i am dreaming. today is my best blogging day!! i am gonna celebrate this. thank you soooooooooo verrrrrrrrrrrrrryyyyyyyyyy much!!! enakku siripaaa varudhu... yaarandha aaatuthoal poathiya puli? hehheeeheehhehe... i am just a fellow blogger if at all i can say that , especially when you are blogging :D.
happy to hear that.. great scoring and all the very best for your MBA dreams!!! !